The Flambeau Noma Luxe 1 light large table lamp in gold leaf and black finish features New Orleans style and flamboyant design. Square base on corner feet in gold and black stripes, with lower silver sphere, golden sculptured element and black stem. An 18cm cone shade, hand-painted in gold parchment sits on top, with gilded silver ball finial. Supplied by Elstead Lighting and designed by Flambeau in New Orleans who offer unique and distinctive lighting collections. 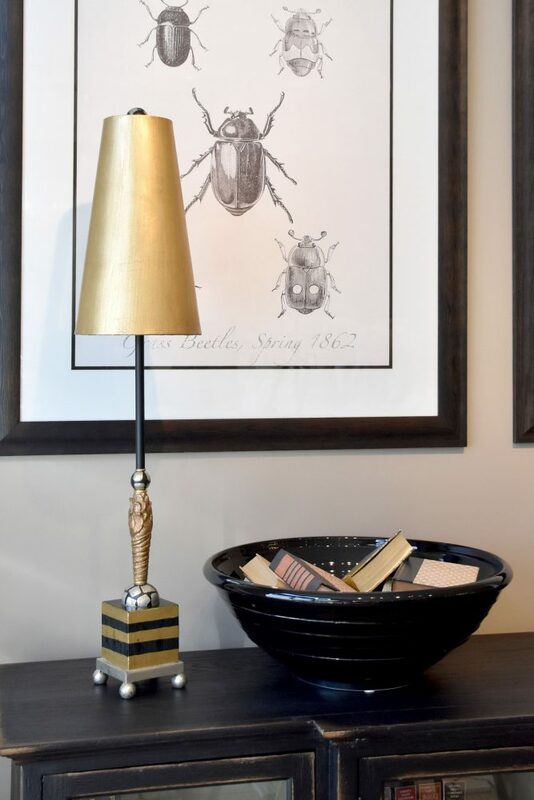 Working with specialist designers who model up their own original creations using distressed finishes of gold and silver leaf to create 21st century antiques like the Noma Luxe 1 light large table lamp in gold leaf and black finish you see here.